UMass players warmed up before an NCAA college football game against Akron in Foxborough on Nov. 7. On a brilliant day for football, as the marching band’s silver and brass glistened in early November’s glow, the University of Massachusetts team sprinted into action at Gillette Stadium, the school’s home away from home. With a capacity of 66,829, the stadium was too small to accommodate even a quarter of the 22,000 undergraduates at the school’s Amherst campus and the 400,000 alumni of the state’s flagship university who live in Massachusetts. Yet by the time the last ticket-holders were scanned through the gates on Nov. 7, the Minutemen were playing the University of Akron in an echoing canyon of concrete and steel where more than nine of every 10 seats remained empty. The crowd of 6,228 — the smallest for a UMass home game since the school departed the second tier of collegiate football in 2012 to enter the highest level of competition — cast in sharp relief the financial risks of the school’s multimillion-dollar gambit. Four years into the new era, UMass has fielded one of the worst teams in big-time college football, at 8-40 overall. The school has split from the Mid-American Conference, opting to operate as an independent team with no promise of big-time television money or bowl revenue. Attendance has all but bottomed out, and the university has fallen short of meeting its projections for reducing millions of dollars of public support the team receives from students and taxpayers. Hard-core fans remain, but for many longtime supporters, hope has yielded to resignation. “I’m afraid the [upgraded] program might be running its course,’’ said Susan Whitbourne, a psychology professor whose long history as a Minutemen fan includes traveling to Chattanooga, Tenn., in 1998 to watch them win a national championship in the lower division. 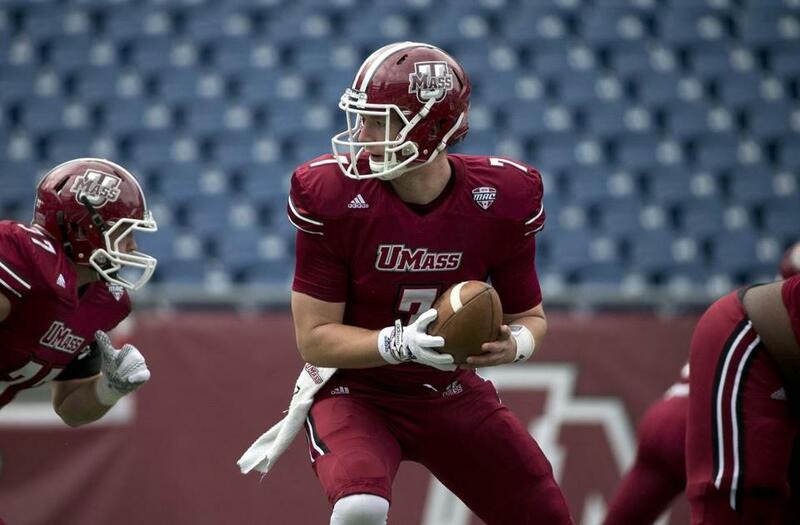 Playing before empty seats at Gillette Stadium has become commonplace for UMass. In June, two weeks before Martin T. Meehan assumed the presidency of the state’s public university system, he told more than a dozen members of the UMass Intercampus Faculty Council that the Minutemen’s jump to the elite ranks of collegiate competition was “the dumbest idea,’’ according to attendees. Meehan, through a spokesman, denied making the comment. In his previous role as chancellor of UMass Lowell, Meehan elevated that school’s sports teams to the highest level of competition. But UMass Lowell had no football program, which would have considerably increased the transition’s costs. Meehan insists he stands by UMass Amherst’s upgraded football program, along with chancellor Kumble Subbaswamy and athletic director Ryan Bamford. Students and taxpayers subsidize nearly $5 million of the Minutemen’s estimated $8 million budget, and the annual subsidy has increased by about $2 million since UMass moved from the NCAA’s Football Championship Subdivision (formerly Division 1-AA) to the Football Bowl Subdivision (previously Division 1-A) in 2012. 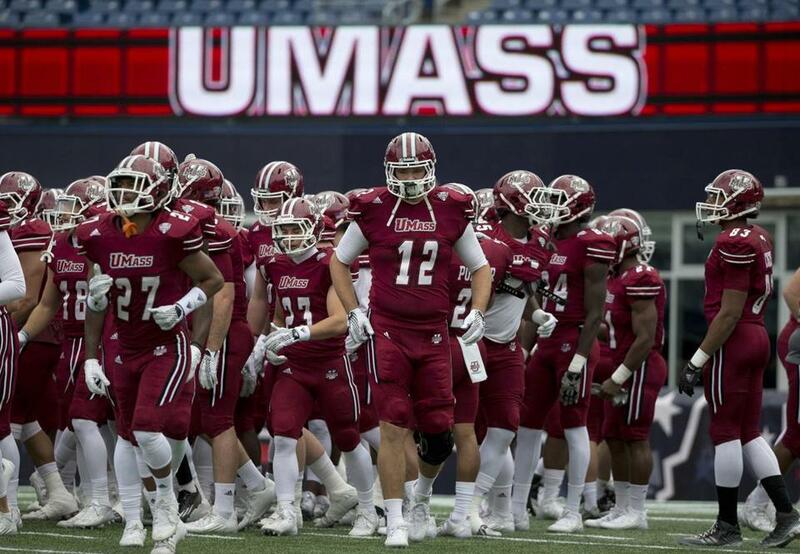 UMass initially projected that the football program’s public subsidy would begin decreasing this year. But the school has missed the target, largely because of waning interest. Subbaswamy struck an optimistic chord as UMass prepares to join Notre Dame, Army, and Brigham Young among the nation’s largest independent football teams. Bamford vowed to turn around the program’s fortunes. He arrived at UMass in March from Georgia Tech, a Football Bowl Subdivision school, where he was a senior associate athletic director. “I’m not here to fail,’’ Bamford said. Amid the growing pains, the Amherst campus is divided. Sionan Barrett, president of the UMass Amherst Student Government Association, said the debate pits those who consider fielding a major football team essential for the state’s flagship university against those who believe scarce public dollars should be dedicated to strengthening the research institution and improving its aging infrastructure. Barrett advocated a full-time return for the football team to its traditional home at McGuirk Stadium on campus. The administration initially projected drawing average crowds greater than 20,000 to Gillette. But four years into the school’s five-year lease at the stadium, the average attendance through 18 games is 13,616. The turnout dropped this year to an average of 9,717 over three games in Foxborough. By most accounts, the two-hour commute from Amherst to Gillette, by far the longest to a home game in American college sports, has alienated much of the student body as well as many fans in Western Massachusetts. The large alumni base in Eastern Massachusetts also has yet to respond as the school had hoped. In an unexpected twist, the turnout at McGuirk this year topped the attendance at Gillette, bolstering arguments for UMass to play its entire home schedule at the 17,000-seat stadium in Amherst. In three games at McGuirk, the Minutemen played before average crowds of 12,527, 22 percent larger than at Gillette. NCAA rules call for sanctioning FBS teams that fail to meet minimum home attendance averages of 15,000 at least every other year, and UMass finished this year with a combined average of 11,124. Should the school fall below 15,000 again next year, it faces 10 years of probation. That scenario is unlikely to occur because UMass is scheduled to play Boston College next year in a home game at Gillette. Even though BC this year logged its lowest average home attendance (30,204) since 1991, the Eagles and Minutemen attracted a crowd of 30,479 when they last played at Gillette in 2014 and are likely to draw well again next year. UMass is scheduled to play three other games at Gillette next fall, against Mississippi State, Tulane, and Louisiana Tech. Only two games are scheduled for McGuirk. 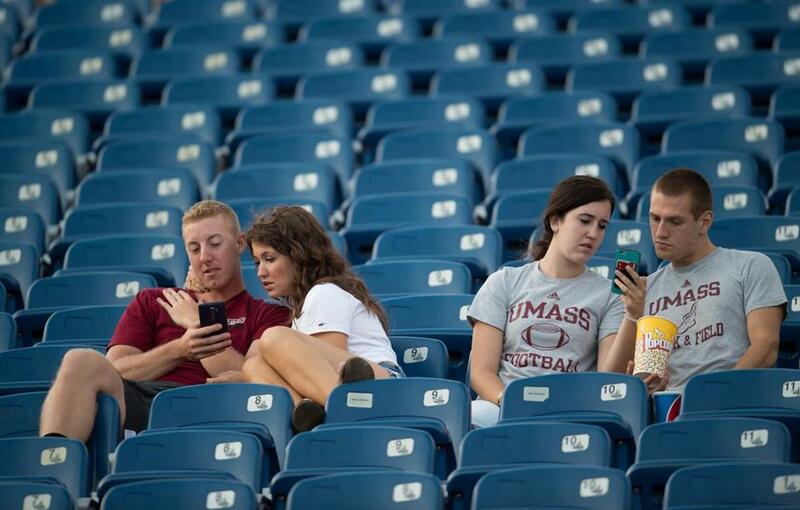 University of Massachusetts fans during the second half of a September game at Gillette Stadium. Yet changes may be looming. After 2016, UMass has scheduled only four opponents at Gillette — Brigham Young in 2018, Connecticut in 2019, and BC and Connecticut in 2021 — increasing the likelihood of the Minutemen playing more often at McGuirk. But Bamford said playing nearly full-time at McGuirk could require upgrading the amenities and adding as many as 8,000 seats. That alarms critics, who contend UMass already is spending $2.4 million a year more than the football team’s budget to pay debt service and operating costs on a new football performance facility, the centerpiece of a $34.5 million building and stadium renovation project completed in 2014. Bamford predicted that the school’s football subsidy will begin decreasing in the next year or two, regardless of where the games are played. He said the program will fare better financially in part because of so-called guarantee games the Minutemen have scheduled. Major college teams pay guaranteed fees to lesser opponents, often described as “cupcakes,’’ to fill out their schedules while reducing their chances of losing those contests. Next year, UMass will receive $1.5 million to play at the University of South Carolina, $1.25 million to travel to the University of Florida, $400,000 to visit the University of Hawaii, and $250,000 to play Brigham Young in Utah. UMass is free to schedule games against higher-visibility teams as well as negotiate its own media rights contracts. But Andrew Zimbalist, a Smith College economist who specializes in the financing of sports, said the barriers to FBS success for newcomers such as UMass are formidable and growing. Bamford said the recipe for success is no secret: winning. The scope of the challenge will be evident when the Minutemen open the 2016 season with a David-vs.-Goliath contest at Florida, a perennial powerhouse. In a similar matchup this past season, UMass absorbed a 62-27 drubbing at Notre Dame. But UMass officials estimated that the game, broadcast nationally on NBC, generated free media exposure that would have cost the school $11.3 million to achieve through advertising. Bamford considered that alone a kind of victory.